The U.S. Food and Drug Administration is seeking public comment to know whether consumers eat Nutella as a dessert topping or as a spread. Nutella lovers have until Jan. 3 to tell the federal agency whether they typically serve one or two tablespoons of the chocolate and hazelnut treat. If the FDA finds out that Americans are putting more of their Nutella on toast and less on ice cream, it will reduce the treat’s serving size to one tablespoon from two. Ferrero, the Italian maker of Nutella, has tried for at least two years to get the FDA to change how it considers American’s regular consumption of the widely popular treat. Nutella is labeled in the U.S. as a topping dessert that requires two tablespoons per serving, but the company found in 2012 that 74 percent of American consumers used the treat of bread, compared with just 2 percent on ice cream. In contrast, the FDA still believes Nutella consumption in the U.S. is the same that it was in 1991 when Americans consumed 27 percent of their Nutella on ice cream and 8 percent on bread. The agency wants to hear consumers before it makes a decision to change the label. The serving size on the food label for jam and jelly is one tablespoon whereas the serving size for dessert topping is two tablespoons, which is why Ferrero wants the FDA to put Nutella in the same category as honey, jam, fruit butter, molasses, and jelly, or to create a new classification for a nut-based cocoa spread. Nutella is labeled in the U.S. as a product that contains 200 calories per serving, which is currently two tablespoons just like all other dessert toppings. If the federal government next year decides to reclassify the spread as jam, its label would say that it has 100 calories per serving (one tablespoon). Ferrero said the U.K. Australia and France, among other governments, use the one-tablespoon serving size, as reported by the Chicago Tribune. The Verge’s Angela Chen recently wrote that looking at a new label saying Nutella contains 100 calories per serving rather than 200 would make consumers believe the treat is healthier than it really is and could end up eating more. She noted that people are usually bad at reading food labels and can be tricked by a small caloric number. Besides, Nutella contains 21 grams of sugar or 5 teaspoons of sugar per serving. On the other hand, Ferrero wrote in a 2014 petition that a one-tablespoon label would help consumers make informed nutritional comparisons of honey, jams, and jellies, which it claims are similar because people consume them in the same manner, the Chicago Tribune reported. Nutella, made from hazelnuts, cocoa, milk, vanillin, sugar, palm oil, among other ingredients, has been marketed as a spread that can be used for breakfast as a replacement for butter and syrup on pancakes, or to scoop on fruit and bread. The FDA establishes “reference amounts customarily consumed” (RACC) for 139 food-product categories such as coffee, cookies, egg rolls, tofu, butter, dry pasta, and canned fruits. The federal agency determines a serving size by looking at the RACC designation, and the purpose of this call for comments on Nutella consumption is to seek information about the spread’s intended use and the amounts consumers usually eat. The Ferrero family created the spread in postwar Italy. The original presentation allowed consumers to cut it so it could fit nicely on a slice of bread since it was shaped into a loaf. The company, which also makes Ferrero Rocher confections and Kinder chocolate, put the treat in a jar in 1964 and named it Nutella. 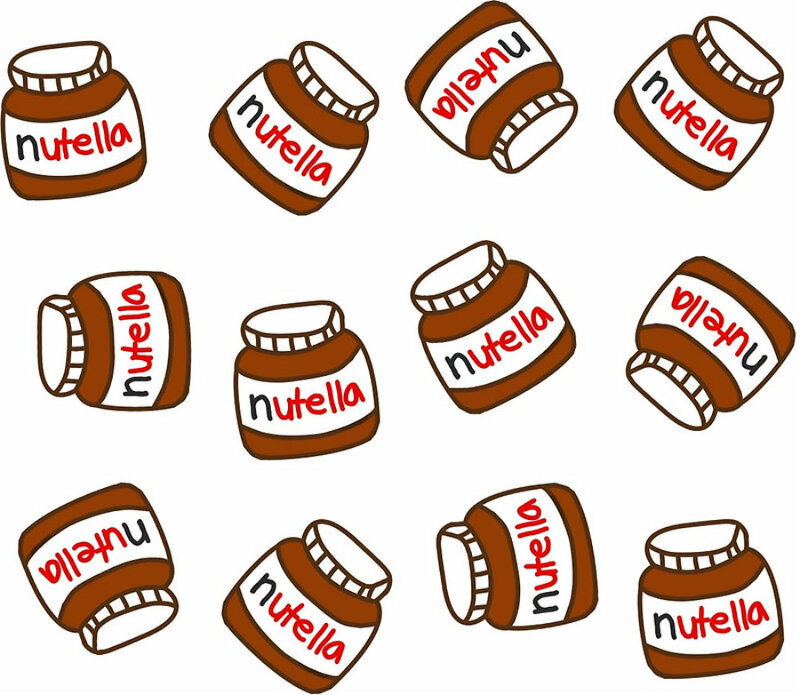 Market researcher Euromonitor reported that in 2013 Nutella held a 70 percent market share for chocolate spreads in the United States and a year later Ferrero consumed 25 percent of the global hazelnut supply. 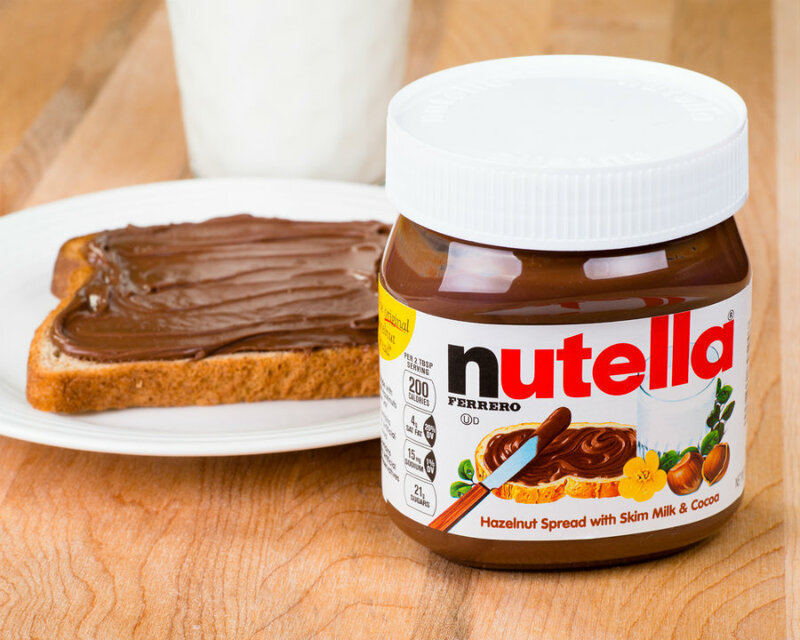 These facts make Nutella’s claims believable, including the one saying that the amount of the spread produced in a year weighs as much as the Empire State Building, according to the brand’s website. Nutella also claims that it is possible to cover China’s Great Wall with the number of jars it sells in one year and that anyone could circle the planet 1.8 times with the amount of Nutella produced in one year. The cocoa-based spread market includes Hershey Co. and J.M. Smucker Co, among other chocolate makers.